This (click image) is my gear for tweeting automatically and semi-automatically. Trying to save time I implemented the following automaton that generates the tweets I would have tweeted by hand. It all started with Bufferapp (thank you @LeoWid!) that enabled me to create a buffer of tweets for several twitter accounts. Tweets that I input into Bufferapp (very easily) while browsing my favourite blogs, are scheduled according to a fixed schedule, and tweeted to a number of twitter accounts. 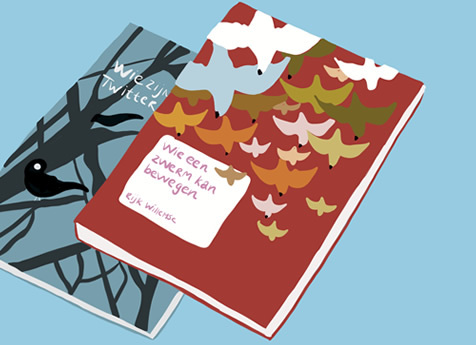 Bufferapp also enabled me to automate the (Dutch) twitter-novel I am writing, about a country community called Twekkelerveldbroek. The account @gelderseworst attracts readers - and co-writers - from various interests. I enter the tweets to the buffer on a regular base, manually, from a prepared file. Then came the service If This Then That (ifttt.com), that allowed me to automate my daily routine of scanning blogs and tweets from interesting sources. 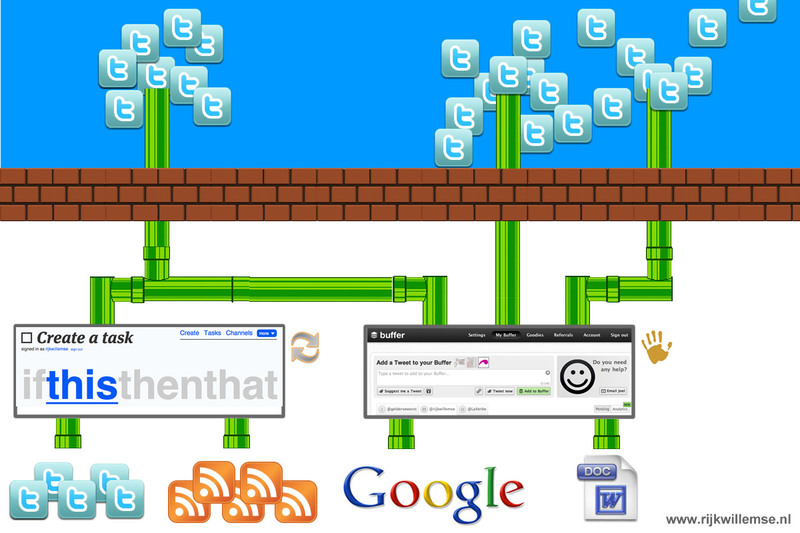 I used to (re)tweet the blogs and tweets from bloggers and tweeps that provide high-quality posts on a regular base. Ifttt.com takes care of this for me, automatically, with a whole lot of parameters to be set. So, if you have a daily routine of scanning your feeds for knowledge that you want to conserve and share, this may be the construction for you. One word of warning: please choose your sources and your parameters carefully! Quality and intervals (a maximum of the number posts per day for each source, preferably one per source) are crucial.